With Coachella just around the corner, TickPick and I have teamed up to present with Country Heartbeat readers my ideal country music festival! I have so many favorites that they had to divide the festival between two days! If you’ve been following this blog for a while now, it’s pretty obvious who my favorite country artists are. Whenever someone asks who my favorite artist is, I ask them if I can give them a top-5 or top-10 list instead, because it’s entirely way too hard to narrow down. I then proceed to list the above 10 artists, and a few others… depending on whose show I may have seen recently and re-fell in love with. My Best Nine of 2015! Today’s trending topic is the “2015 Best Nine”… everyone’s doing it! Here are my 9 most liked posts of 2015! Sam Hunt for the win!!!!!! Check it out and get yours at 2015 Best Nine! LAST New Music Monday of 2015! 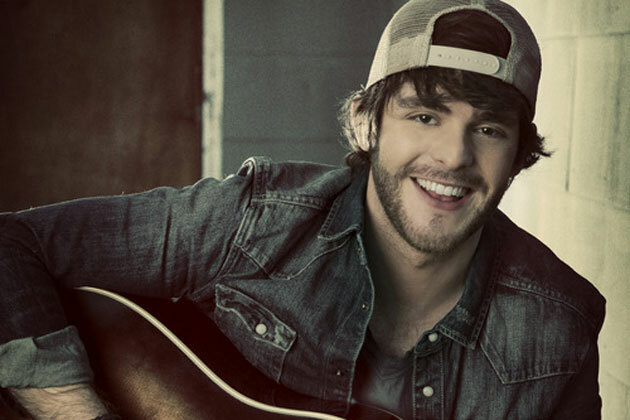 Musically, 2015 has been a breakout year for artists like Kelsea Ballerini, Michael Ray, A Thousand Horses, Brothers Osborne, Sam Hunt, Cam, Chris Janson, Old Dominion, Chase Bryant, LoCash, Canaan Smith and more! What artists will emerge and climb to the top in 2016?! I’ve got some premonitions, but for now, I’ll just share with you some of my “new” favorite songs as the year is wrapping up! This song has been my favorite song off of their Anything Goes album since it was first released back in October of 2014. I’m surprised it took them this long to make it a radio single! I definitely appreciate Florida Georgia Line’s “softer side” which helps balance out the high energy party songs. I love the visuals in this song, how you can listen to it with your eyes closed and “see” the story being told. Also, basically any song that mentions a shooting star or star gazing is going to earn extra points in my book! It’s a song about reflecting on the past and driving out to the middle of nowhere to basically drink beer and contemplate life. So far, all of FGL’s singles have hit #1, and this one will be no exception! Heart. Strings. Pulled. Cole says that this is the song that he “came to Nashville to write” and the raw emotions behind these lyrics tied with the visuals of Mike Monaco’s video… so powerful. This is a very personal song for Cole, written about his late father who passed only weeks after Cole officially got his first record deal. The video features one of their last phone conversations as well highlights from Cole’s career that his Dad has missed out on. Everyone has lost someone they’ve loved, and everyone has those moments where they wish their loved one could be there to experience life with them. You Should Be Here captures these feelings and ties them personally to all of the meaningful moments in Cole’s career that his Dad missed out on. Though Cole says that he knows his Dad is smiling from up above looking down, he just wishes he could be there to put his arm around him and experience the moment. Download this song. NOW. Industry professionals are already predicting it’s going to be up for “Song of the Year” at future awards shows. Luke Bryan announced a save-the-date for his second “Crash My Playa” in the Rivera Maya, Mexico. Tickets go on sale April 9th at 11am CDT. Go to www.crashmyplaya.com for more event details!